© Valerie Fischel Figure out what’s causing your never-ending snacking. Figure out what’s causing your never-ending snacking. Hunger is your body telling you it needs sustenance so it can operate efficiently. Yet sometimes, it can feel like all our hunger is a little…excessive. We’re talking about those days when just 20 minutes after lunch (after you ate a meal big enough for two) you’re already starving again. Maybe it happens every day—you find yourself jonesing for another snack before you can even lick all the white cheddar popcorn off your fingers. Either way, you’re always. so. damn. hungry. But why? Luckily, tweaking some of your daily habits can help keep your appetite in check so you’ll keep all that eating to when you’re truly, really, actually hungry. 1. You’re not eating often enough. It might sound counter-intuitive if you’re trying to curb your eating, but spacing out your meals too far can make you constantly hungry. “When your stomach is empty for too long, your body will release more ghrelin, an appetite-stimulating hormone, leaving you feeling famished,” Foti says. 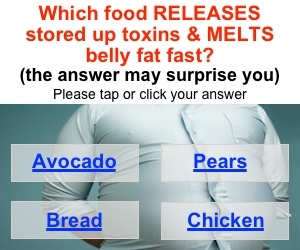 Which over time, leads to overeating. Try eating a meal or snack every three to four hours. Foti also recommends keeping an emergency snack on you, like a piece of fruit, for when you’re tight on time. 2. You’re not getting the right balance of nutrients. “Satisfying snacks have three components: fiber, protein, and a little healthy fat,” explains Caroline Kaufman, R.D. All three can help slow digestion, which keeps blood sugar stable and keeps you full for longer. Some of her suggestions: a serving of plain popcorn (fiber) with roasted almonds (protein and healthy fat); vegetable sticks (fiber) with hummus (protein and healthy fat); or cherry tomatoes (fiber), avocado (healthy fat) and part-skim cottage cheese (protein). 3. You’re eating too many simple carbs and sugars. On the other hand, eating lots of simple carbohydrates (think: white bread, pasta, bagels, pastries) and sugar will make it impossible to feel satisfied. “Your glucose will rise at first giving you a burst of energy, and then crash rapidly causing your body to crave more fuel,” Foti explains. This can become a vicious cycle, where you never feel satisfied no matter how much you keep eating. 4. You’re dehydrated and confusing thirst for hunger. Our thirst and hunger cues both come from the same part of the brain, the hypothalamus, making it difficult for our bodies to know the difference, Foti explains. Keep a water bottle at your desk so you remember to sip throughout the day. “You’ll know you’re drinking enough water when your pee is light yellow or clear,” Kaufman adds. 6. You’re not paying attention to what you’re eating. Eating mindfully—that means actually paying attention to what you’re eating instead of shoveling it in your mouth as you’re running off to do something else—is important for your body to register when it’s hungry or not. When you don’t fully experience a meal, you may still feel hungry even when your body is full, because you essentially forget you already ate. “In addition to sensing when you’re hungry and full, mindful eating can help you decide if food is even satisfying,” Kaufman explains, or if your hunger is something else entirely, like dehydration or stress. “Maybe you think you’re hungry, but when you start eating your yogurt, you realize you’re not hungry at all. The yogurt isn’t satisfying that feeling.” If you weren’t paying attention to the eating process, you’d just down the yogurt and still feel hungry. 8. You have an underlying medical condition that’s messing with your appetite. If you’ve checked all the other potential causes, and you’re still eating nonstop, it may be worth seeing a doctor to rule out any real health concerns. Diabetes, hyperthyroidism, depression, and anxiety (along with some medications) can all amp up your appetite.